There is no doubt that communication is an essential aspect of our everyday life that none of us can do without. This has been known to take place through different mediums and ways. Studies have shown that more than 70% of misunderstanding among people is as a result of absence of communication. The telephone is one of the medium of communication that is affordable and accessible to a lot of people. Advancement in technology has made it possible for everyone to possess mobile phones, which are handy, and portable to carry about. There is no doubt that the introduction of mobile phones has indeed improved our levels of communication greatly. However, one peculiar disadvantage, associated with the use of a mobile phone, mainly due to its small size is that it is highly susceptible to damage. One common thing that has spoiled a lot of mobile phones is water. This in most instances happened unexpectedly. This could be as the result of heavy rainfall, or the phone falling inside a toilet, sink, pool, etc. In view of this challenge a lot of mobile phones users might have experienced, and might likely experience, we would be providing a solution in the form of a guide which has been divided into three parts. Every electronic, mobile phone inclusive is known to detest water. Extreme water is known to have the capacity to render useless the inner circuit, simcard, and even the touchscreen of a cell phone. Listed below are 6 procedures you can follow step- by-step in fixing a water damaged phone. This guide is applicable to all cell phones, but mostly to android phones. It is very important you remove the cell phone from the water source without delay; this is then followed by turning it off. A lot of people in other to remove the water in their cell phones have made a mistake of blowing it possibly with a blower. This should be avoided. The reason for this is obvious, the heat from the blower or drier is known to be capable of further damaging the internal components. Also it is important to avoid the temptation of putting your phone inside an oven in an attempt to dry it. While, we still have a lot of people who are skeptical of this; the use of rice and silica are known to work well in drying the internal components of cell phones. This is done by inserting the phone in a bowl containing uncooked rice. This is left for about 72 hours. By the end of this period, all the moisture both within and outside the phone would have been absorbed by the rice. This method is known to work also with silica. Silica being a desiccant is capable of absorbing water moisture, when something like a phone is placed inside it. At this point, you can insert the battery, simcard, and micro SD card back into the phone, and test whether it is working or not. If the phone on that means everything is in order, but if it doesn’t come up, try charging the battery, if after trying this, and still does not come on, you can get a new battery to replace the existing one. If after trying all these, and still the phone does not work, you can either take it to a professional phone repairer to help you take a closer look at it, or follow the step in six below, which might be a little complicated for some people. In other to do this, you might have to open the internal components of the phone, up to the circuit board with the right tools, and use a tooth brush that has been inserted inside a isoprophl alcohol, commonly known as methylated spirit to softly brush the internal circuits of the phone. This is done in order to remove any trace of moisture, and even salt that might still be affecting the functioning of the phone. If after rinsing it, and still does not work, you may either take it to a phone repairer to have it examine, or consider getting a new phone. Cell phones are capable of storing a large volume of data. Data are the information, which could be text files, audio, images, video, etc. inside a phone. If after carrying out all the procedures in one to six above, but the phone turn on with black screen, your best bet is to consider how best you can safely remove the data within it, even at this state. 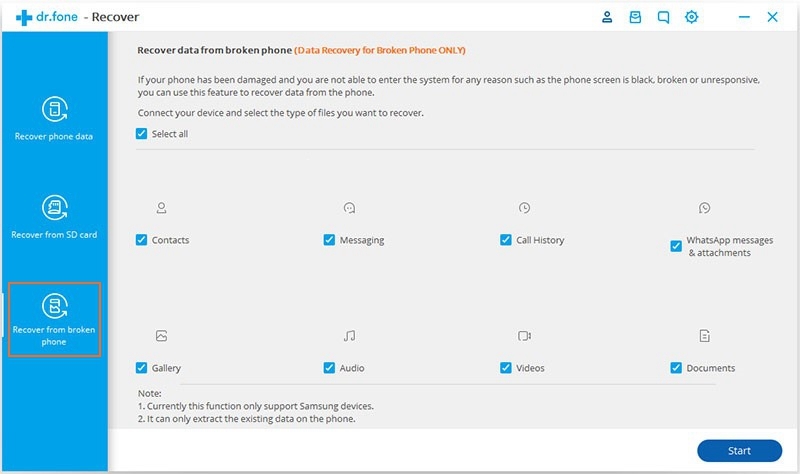 Removing the data within a dead phone can be quite challenging, but this is achievable with the help of the computer software Android Data Extraction. 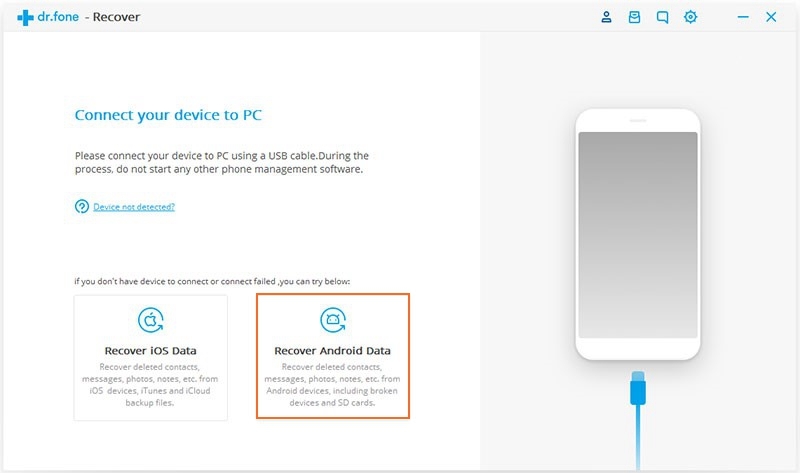 After downloading the software on your laptop, below are the six step-by-step procedures you would need to follow to have your data retrieved from the phone that has refused to come up. 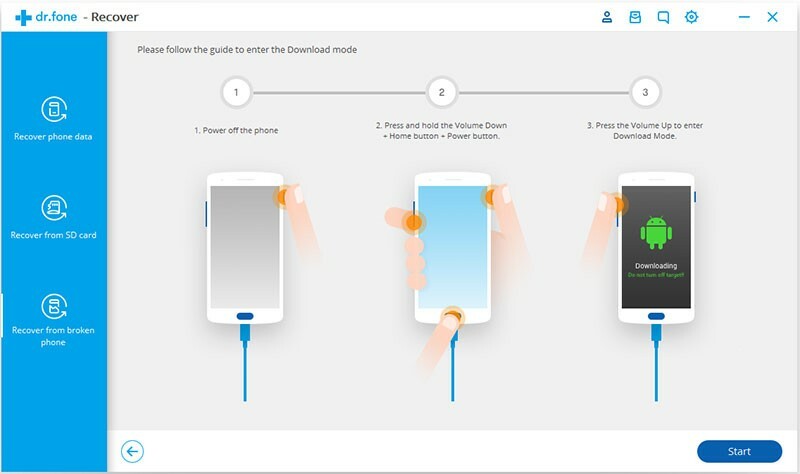 Step 1: Connect your phone to the software. Run the software, Click on “Recover” from the left. 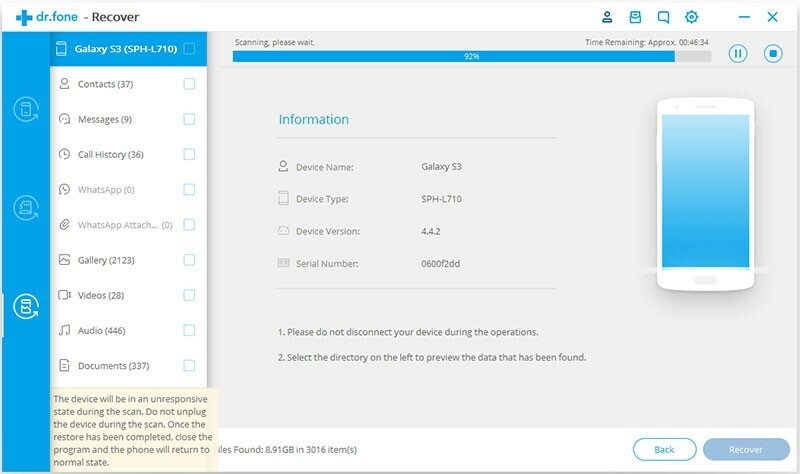 Next select “Recover Android data” from the software’s screen and connect your Android phone to the computer. The software allows you selectively retrieve data from different types of files available in his phone. These includes data from WhatsApp messages, call history, contacts, messaging, attachment, audio, gallery and more. Simply select by checking the data from the different file types you want to retrieve. Click on Next after selecting the different files types. After select Next as in step 2 above, you would be directed to a new page, that gives you two options to select the problem with your phone. 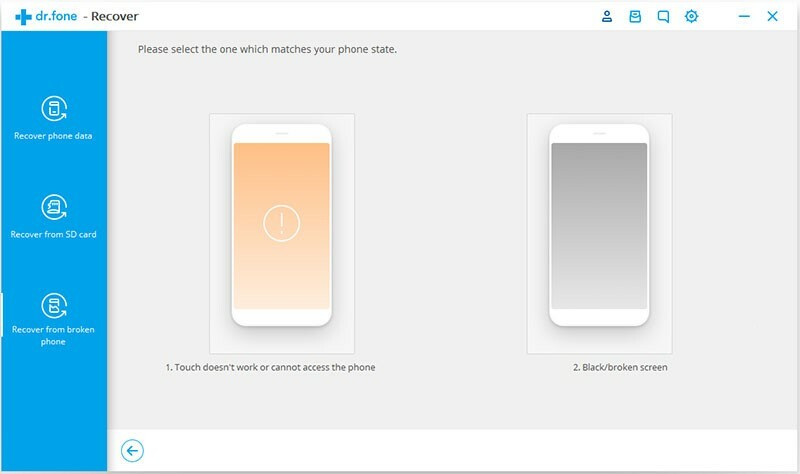 The first option is ‘Touch does not work, or cannot access the phone’ while the second option is ‘Black/Broken screen’. It is very important that you select the first option. 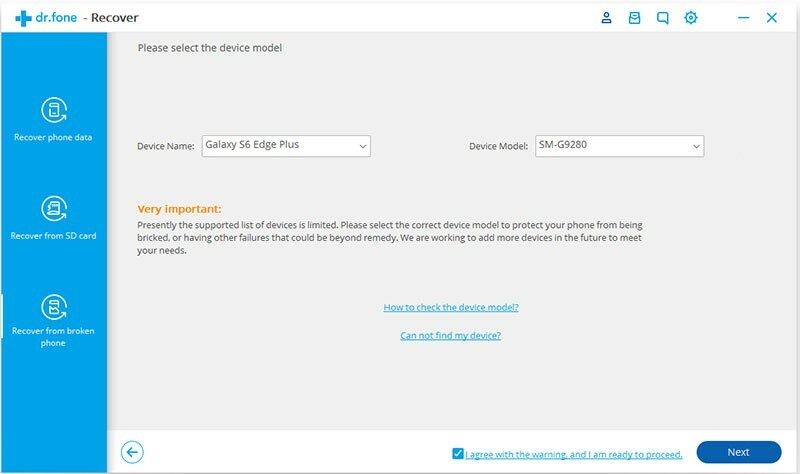 After selecting the first option above, you would then be re-directed to another page that has two select type boxes where you would have to select your phone device name and model. It is very important you select the right device name and model. Before clicking on the Next button, you would need to click inside the check box with the message ” I agree with the warning, and I’m ready to proceed”. Thereafter click on the Next button. 1. You would need to first power off the phone by long pressing the power button for 10 seconds. 2. Then press and hold the Vol Down button + Home button + Power button at the same time to enter the download mode, your phone will vibrate when it boot into download mode. 3. And lastly pressing the volume up button to confirm and it would take your phone into the download mode successfully. You can see the following screen if your screen can display. 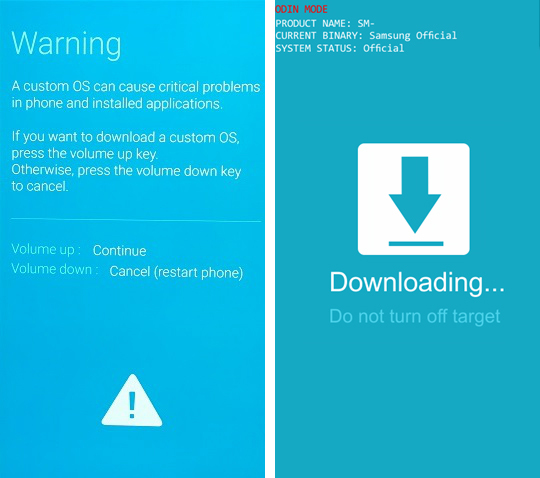 After completing step 4 above, the software would run an automatic scan of the phone. The software has been programmed to do this. After completing step 5 above, the software would take you to another page , where you would have the option of previewing, and selecting the data from the different file types you want the software to recover for you. After previewing and selecting the data, then click on the Recover button to allow the software saved the selected data to your pc. Following the above six step-by-step procedures would help you in recovering the data inside your wet android phone that has refused to turn on. As mentioned earlier, water is one of the things that can easily destroy a cell phone. After recovering your phone from the initial water damage, you need to exercise more caution in the use of your phone so as to prevent it from falling inside water again. Below are three things you can do to prevent your phone from getting damaged by water again. 1. The phone should always be in your trouser pocket, and not in your shirt pocket. 2. When raining, let the phone be inside your bag, or brief case, and not on your cloth. 3. While eating, keep the phone away from the table, where water can easily pour on it. Cell phones are essential tools we used daily in our everyday communication. Their mobility makes them highly susceptible to damage mostly from water. 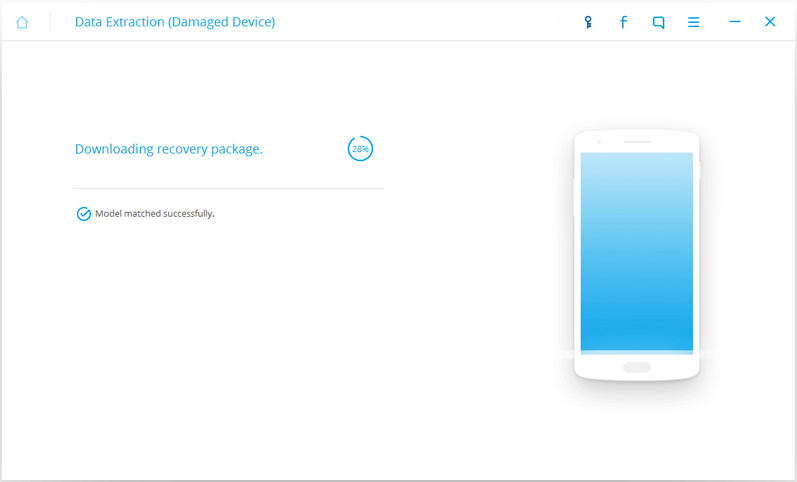 However, with the six listed points on how to fix a water damaged phone above, and also on how to retrieve data from a wet Android phone that is not turning on, android users can have their phones recovered back fully work, and equally with a free software with the download link above have their data recovered from a wet phone that has refused to turn on.